TME offer has been extended to include the new family of industrial power supplies of series NDR-75 by MEAN WELL, designed for mounting on a DIN rail. The power supplies are characterized by an output power of 75W, available in three voltage versions. 12V, 24V and 48V. In addition, the NDR-75 series power supplies come in a compact dimension, with a width of just 32mm. It allows to save considerable space on the mounting rail. 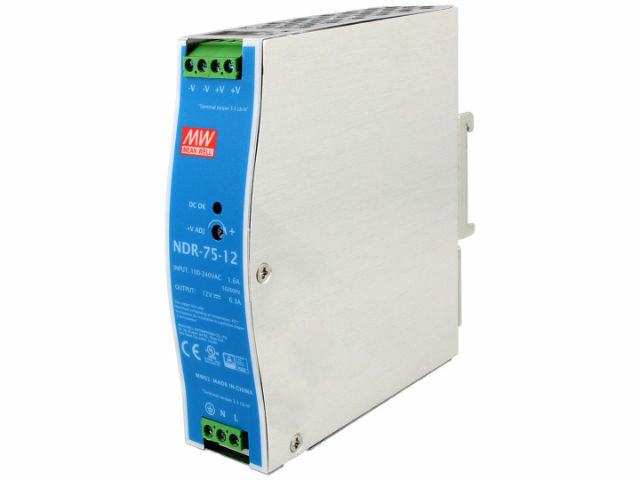 NDR-75 power supplies are designed for mounting both TS-35-15 and TS-35-7.5 types on a DIN rail. NDR-75 power supplies exhibit high efficiency of 89%, thus offering the possibility of working in a wide range of ambient temperatures from -20°C to 70°C.